These eyelashes are number 110 (*). I was slightly apprehensive about them as I they looked rather 'spiky' in the box and couldn't really envision how the different length/spikiness would translate on my eyes but I actually found them to be one of my new favourites! They look full and dramatic without looking over the top. I have added lots of almost identical pictures but I wanted you to have a really good idea of how they look. 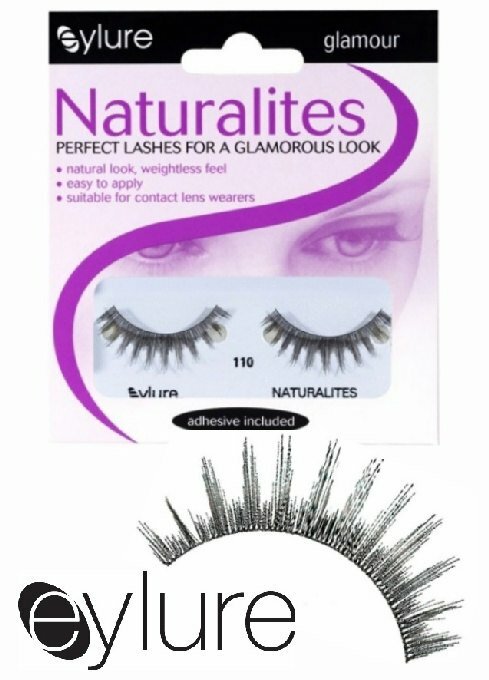 I think these could almost pass for natural lashes - don't you? I am wearing Collection 2000's Pump up the volume mascara (*) on the bottom lashes and used sparingly to blend my natural lashes into the falsies and it is amazing and only costs £4.99. It's similar to Maybelline's Falsies Mascara (and over three pounds cheaper!) but the brush is slightly bigger and more curved and I find you can skip curling your eyelashes as this mascara wand really seems to do the job of lifting, curling, lengthening and volumising all in one. On my nails I am wearing and loving 2true's fast dry colour quick nail varnish (*) in shade number nine. I'm all for splurging on makeup however I physically balk at the thought of spending more than £5 on nail varnish. I do love everyones posts on OPI, Illamasqua, Essie, Chanel etc but.....YOU'RE CRAZY! I am all all about budget nail varnishes - Rimmel, Barry M, Collection 2000 and now 2true are my absolute staples. You really really do not need to spend lots of money for amazing nail varnishes. 2true is such a good example of that as these retail at £1.99 and you only need one coat to achieve great colour and coverage plus it really is very quick drying. 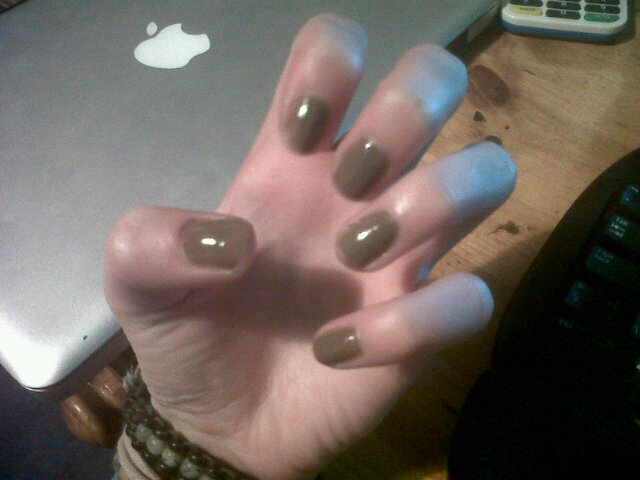 I adore this colour, it looks a bit 'meh' in the bottle but looks a gorgeous sophisticated brown/khaki on the nails. While not a perfect dupe I think it falls into the same grown up, gorgeous colour family as the Chanel Le Vernis Fall/Winter 2010 Khaki colours. Labels: 2true nail varnish, chanel brun, chanel khaki, chanel nail varnish, eylure 110, eylure false lashes.